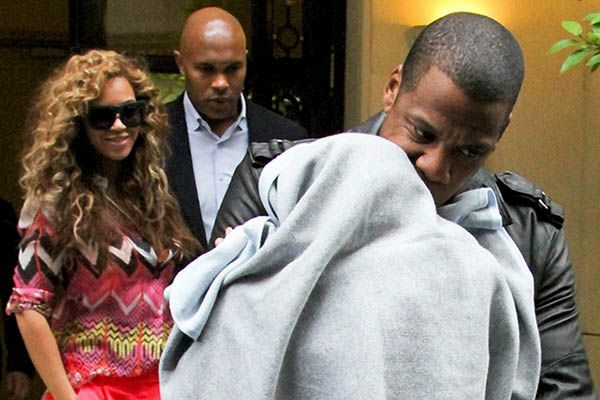 Less than a month after their little bundle of future global superstardom arrived in the world, Jay-Z and Beyoncé wisely and justifiably filed an application to trademark “Blue Ivy.” At the time, two other applicants tried to beat them to the punch by filing their own claims (one for “Blue Ivy Carter NYC” and one for “Blue Ivy Carter Glory IV” which, sure, yeah, whatever), but those were summarily dismissed by the U.S. Patent and Trademark Office. Why? Well, it’s obvious why. There is one and but one true Blue Ivy upon this cursed Earth, and her legend shall live forever! OK, but fast-forward to this weekend, and we’ve got some serious problems. Turns out, as Boston’s Fox25 reports, that a Massachusetts event-planning company had been using the name Blue Ivy since 2009. And now, an actual court has actually ruled in favor of this other Blue Ivy. That’s right: “The ruling means that Jay-Z and Beyoncé have no legal rights to the name.” (Emphasis mine). Wow. Just. Just wow. On the one hand, yes, it’s clear why this happened: Blue Ivy event planning has been around since 2009, which is before 2012; they already had the name. On the other: Come on. It’s Jay-Z and Beyoncé’s child we’re talking about here. She must be protected. Also, they were maybe planning on using the name to launch a line of baby products, “including carriages, diaper bags and baby cosmetics.” So now we’re never gonna get to buy Blue Ivy eyeliner? Not ever? Being nothing if not supporters of small business, Grantland wishes the best for Blue Ivy event planning. It’s just that, in this particular case, their legal rights should have been trampled upon. Look, there are some things more important than the rule of law. And those things are the Carters getting to do whatever they want.